SurveilStar Employee Monitoring software needs to work with Microsoft SQL Server to store and feed the collected data. 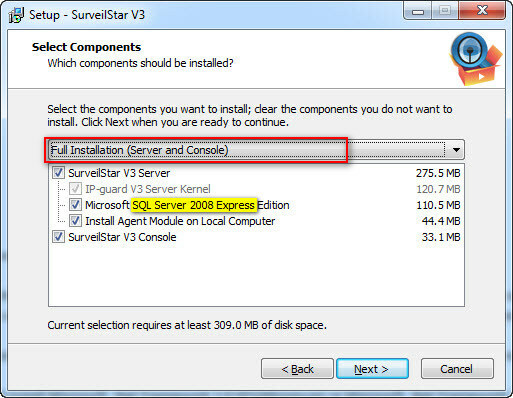 Please note that SurveilStar's setup file includes SQL Server 2008 Express Edition as the built-in database engine, it has a 2GB storage capacity limitation. Microsoft® SQL Server® 2008 R2 Express is a powerful and reliable data management system that delivers a rich set of features, data protection, and performance. The SQL Server can be deployed on a dedicated computer or any computer deemed appropriate to be used as a data server. Please make sure you install SQL server and SurveilStar server in the same machine. Before installing SQL Server, you may need to update Windows Installer, .Net Framework and Windows PowerShell. Step 1: Download and install Microsoft .Net Framework 3.5 SP1 (or newer). Step 3: Download and install Windows PowerShell 1.0. 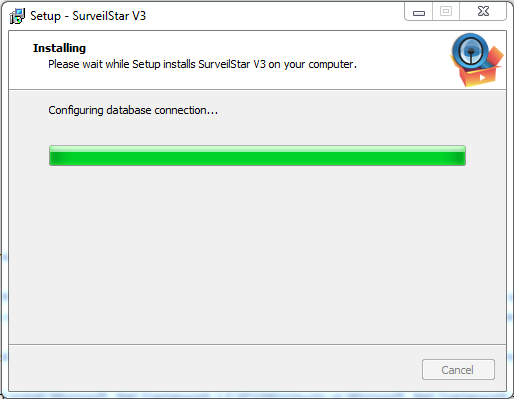 Step 4: Download SurveilStar setup file then follow to install SQL Server 2008 & SurveilStar Server. SurveilStar Server should be installed in the same computer with the SQL Server application. Double-click the surveilstar setup file. If it pops up security warning message, please click Yes or Run button to continue. Choose which components should be installed. 1. SurveilStar V3 Server Kernal: This option can't be unchecked. It must be installed. 2. If you have installed a previous version of SQL Server and don't need SQL Server 2008, please uncheck Microsoft SQL Server 2008 Express Edition. 3. If you don't need to monitor the current server computer, please uncheck Install Agent Module on Local Computer. 4. If you don't need Console in the server computer to view all surveilstar records, please uncheck SurveilStar V3 Console. Please note that SurveilStar Console can be installed on different computers. Check all the information and click Install to continue the installation, or click Back if you want to review or change any settings. 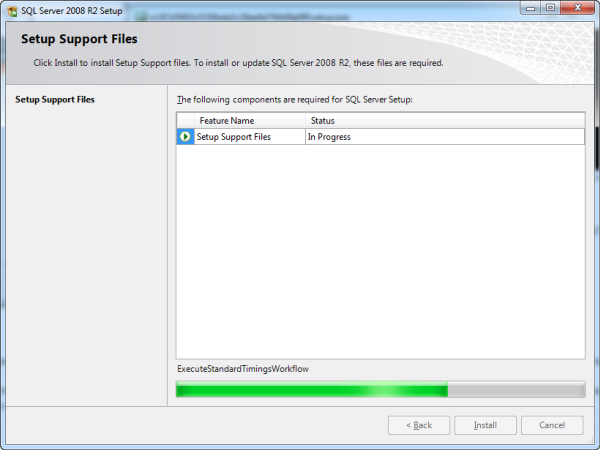 Installing SQL Server 2008 automatically. Please do not close the popup. It would take some time, please wait. Please wait while SQL Server 2008 R2 Setup processes the current operation. Installing SurveilStar on your computer. Please wait for the installation process to complete. Complete the SQL Server 2008 & SurveilStar setup. Click Finish to exit setup. SurveilStar can also work with free SQL servers including Microsoft SQL Server 2000 Desktop Engine (MSDE 2000), SQL Server 2005 Express Edition and SQL Server 2008 (or R2) Express Edition as well as work with professional SQL Servers including SQL Server 2000 SP4, SQL Server 2005 SP1 or above and SQL Server 2008 (or R2) or above. You can choose the one you need.